White Diamonds was created by Carlos Benaim in 1991 and was inducted into the Fragrance Foundation’s Hall of Fame in 2009. 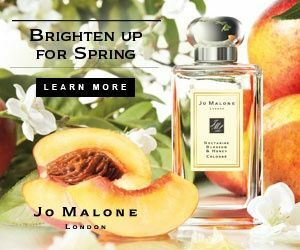 One of the first celebrity scents, the success of this classic has encouraged many other celebrities to launch their own fragrances. A sheer floral scent, the heart of this fragrance combines the classic trio of violet, rose and jasmine. Created in 1997 by Jean-Claude Delville and Rodrigo Flores-Roux, the name of this scent says it all. It is joy infused in a bottle; the scent of smiles and bliss on a beautiful spring day. Friendly, polite, fruity and refreshing – Happy is the perfect complement to any woman’s day. Created in 1992 by Olivier Cresp and Yves de Chirin, Angel is an intriguing and sensual oriental vanilla fragrance. It was also the 2007 award winner of the Fifi Award for fragrance of the year. In 1921, fragrance designer Ernest Beaux was asked by Coco Chanel to create a perfume that smells like a woman. Chanel No. 5 was the result – a fresh, pure and timeless classic, that decades later is still one of the best selling fragrances in the world. The female version of Armani’s wildly successful Acqua di Gio, Acqua di Gioia’s composition is compared to a woman who is “strong, dignified and free spirited but in perfect harmony with nature”. Drawing inspiration from summer holidays spent by Armani on the islands of Pantelleria and Antigua, Gioia, created by perfumers Loc Dong, Ann Flipo and Dominique Ropion, leads the senses into a fresh, floral and citric holiday escape.